Getting your business prepared for the GDPR is no small task, and it doesn’t end when the law takes effect on May 25th. Next, look at the less explicit tools, like cookies or analytics, that your site uses. Examine what plugins you have installed and review their privacy information.Does a plugin send data outside the country or perhaps the European Union? That’s another thing you’ll need to disclose to customers. 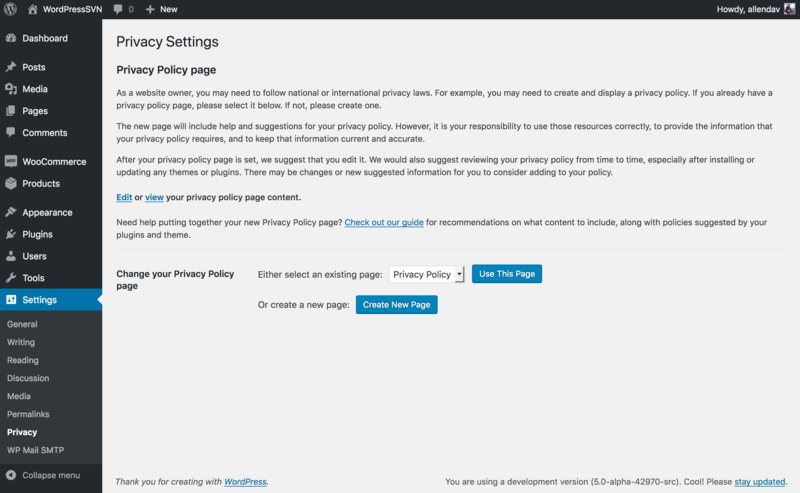 If a plugin doesn’t provide privacy information you can visit the developer’s website or contact them directly and ask them about what data their plugin collects from visitors to your site, if any, and what they do with it. After you know what you’re collecting, you’ll need to note why you’re collecting it. Explanations for much of the data you collect are simple: you need their address to ship them a product, or you need their email address to update them on their order status. If you’re collecting any personal data that you don’t actually need to fulfill an order, you’ll want to explain why to your customer and give them a means to opt out of that sort of “processing” (see “Checkboxes aren’t the only way” below). Essentially, if a plugin connects to an external service, they’re likely sharing some type of data with that service. You’ll want to review the privacy policies of these services to make sure they align with your privacy priorities. Using an extension from the WooCommerce.com marketplace? Find out exactly how our extensions — including payment and shipping gateways — use and store data. There are lots of reasons to retain records, including if a charge is disputed by a customer, for tax audition, or for other legal concerns. While laws like the GDPR have “right to erasure,” you are not required erase records you need for these other aspects of your business. Next up? The long and short of Right of Access requests. Thank you for the informative article. I’m also preparing to GDPR compliance my website. When WordPress 4.9.6 stable release? I am also looking for the box where I might find plug in specific privacy info. Perhaps none of the plug ins I have use this? Could you share a generic screenshot of it so I know if its not applicable or if I’m not looking in the correct spot. Then, when you are editing that page, you’ll see a box with further instructions. I too am looking for these features mentioned. An error occurred while attempting to export personal data. Most, but not all, hosts support the ZIP generator, ZipArchive, on which the export feature depends. Please ask your host if they’ll enable ZipArchive for you.